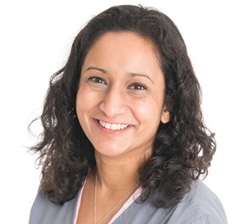 Anju was born and brought up in North Wales, and went on to qualify from the prestigious Guys Hospital in 1998. 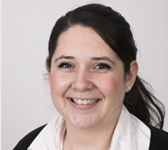 She worked in Gloucestershire and Basingstoke before taking over Zebon Copse Dental in October 2012. Over the years, Anju has gained a reputation as a gentle and caring dentist, especially when it comes to nervous patients. She has had many success stories - and regularly has people falling asleep during treatment! Anju believes prevention is the key to looking after and keeping your teeth, whatever your age, and is keen to start the message early. Outside dentistry, Anju is married to Vidya, and they have a son and a daughter who keep her busy with football, gymnastics and playdates! Julie is married to George, a firefighter, has two children and two rescue cockerpoos, all of which keep her busy in her time off. Natalie lives locally in Hartley Wintney with her husband and cat, Albert. 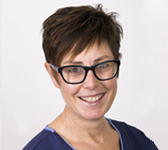 Natalie has been at Zebon Copse Dental for over 15 years so is really part of the dental furniture! She has a BTEC National Dipolma in Dental Reception. Natalie will be the first person you see as you come in for your appointment, she will make you feel comfortable and at ease before you see Anju or Julie or both!